The restoration of the IAe.34m took five years of concerted effort from the dedicated team of volunteers at the Industrial Museum at Cordoba. It was completed in the original pale blue and white colours of the original Clen Antus in late 2006 and is still on public display at the museum. One of the two IAe.34m single-seaters in flight. Reimar Horten himself referred to the two-seat variant as the H.XVa and the single-seaters as H.XVbs. 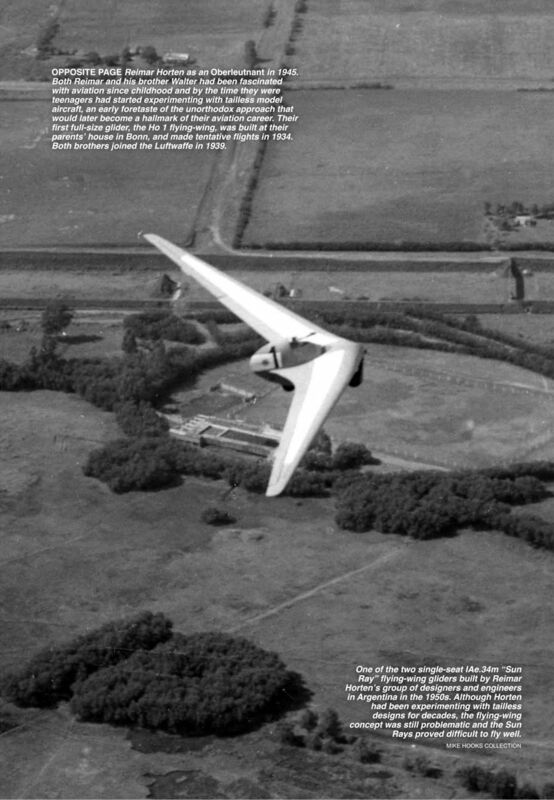 Horten also developed the H.XVc (IAe.41), a side-by-side two-seat flying­wing glider, named Urubu (Owl), which first flew in 1953 and made a towed crossing of the Andes in 1956. 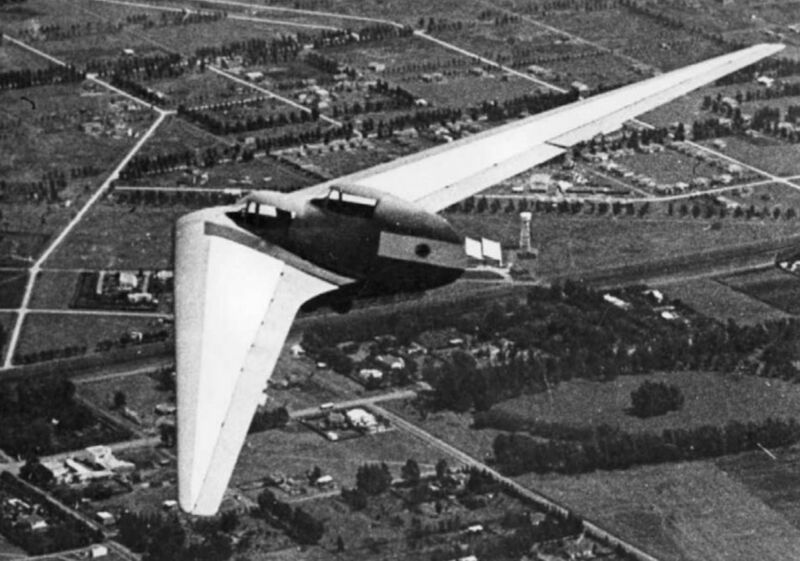 One of the two single-seat IAe.34m ‘‘Sun Ray" flying-wing gliders built by Reimar Horten’s group of designers and engineers in Argentina in the 1950s. 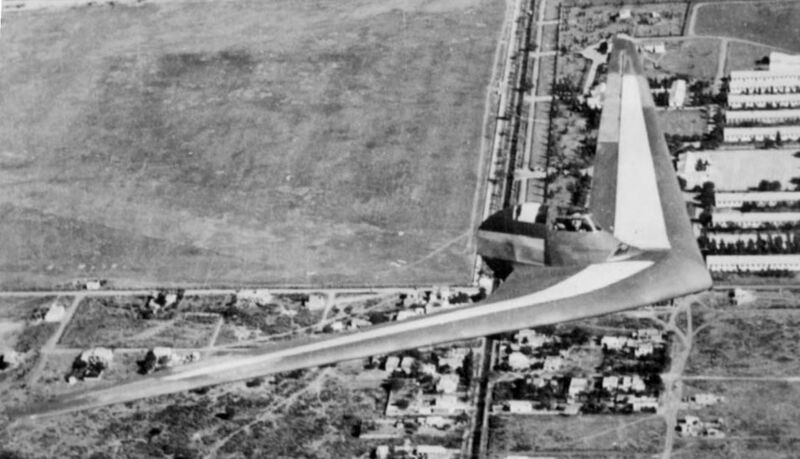 Although Horten had been experimenting with tailless designs for decades, the flying-wing concept was still problematic and the Sun Rays proved difficult to fly well. 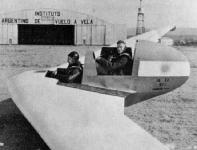 The first single-seat IAe.34m, LV-XXB, at the World Gliding Championships in Spain in June 1952. All Clen Antus were originally painted in the Argentinian national colours of pale blue and white, with the Sol de Mayo emblem on the rear of the pod. The startlingly futuristic two-seat IAe.34 at Cordoba. 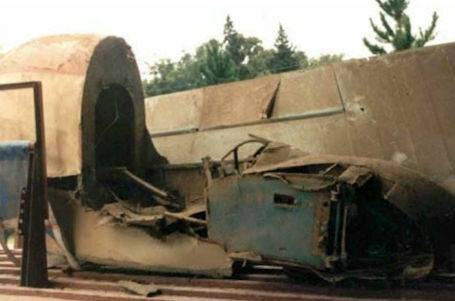 The undercarriage consisted of a sprung front skid with rubber blocks which curved under the fuselage pod, where a pair of tandem wheels with mechanical brakes was fitted. 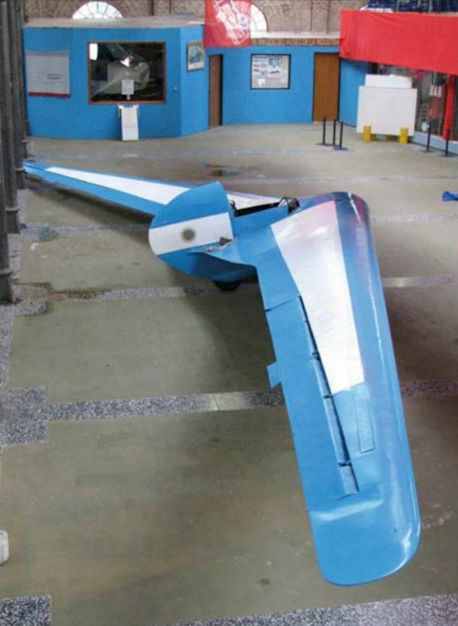 The IAe.34 No 1 beside the Instituto Argentine) de Vuelo a Vela hangar. A Clen Antu in flight following the type’s maiden flight on June 20, 1949. It was not easy to fly. Pilot Manuel Fentanes recalls a flight in which he had difficulty in lowering the nose to see the tug. “I was careless and had taken the glider too high. Trying to track the tug aircraft I was using the pedals, and almost made the tug stall”. 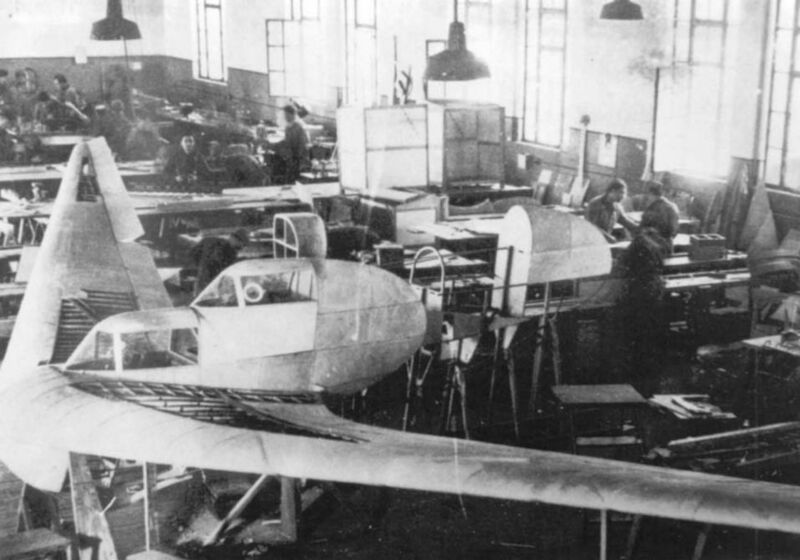 One of the two-seat IAe.34 Clen Antus under construction at Cordoba. The high-aspect-ratio wing was swept approximately 23° at quarter-chord with 3-5° dihedral. 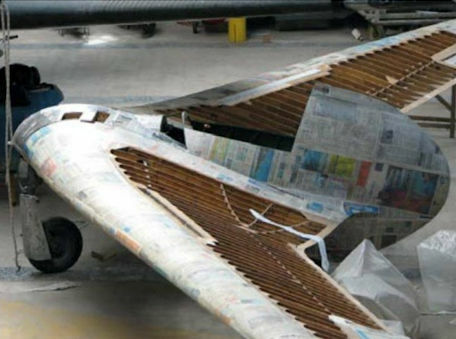 Yaw control was by means of the rudder pedals, which activated spoilers, located close to the wingtips, which could be used either differentially or together. 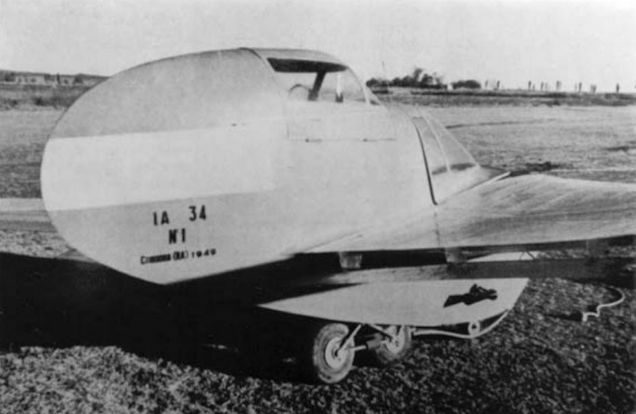 To improve the aircraft’s low-speed handling characteristics, the first IAe.34 prototype was modified with an additional lifting surface mounted just aft of and below the trailing edge, as seen here, following which it was redesignated as the IAe.34B. 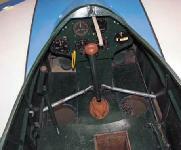 The simple cockpit of the restored second IAe.34m, with the six basic flying instruments on the panel. Note the rather primitive control system incorporating rods connected directly to the control column, and the airbrake-operating pedals. The second IAe.34m during its painstaking restoration for static display at the Museo de la Industria Brigadier Mayor Juan San Martin in Cordoba. Still showing remnants of the red, white and pale blue scheme in which it was painted in 1962, the second IAe.34m was placed in storage until 2000.